Investors should be extremely cautious about doing business with Iran. Having assisted numerous profitable international companies in the region, I would strongly argue that at the moment, the risks of making long-term investments in Iran outweigh the benefits. I totally understand why investors may find Iran appealing at first glance. It is still known as the largest untapped emerging market in the world. It is the second-largest economy in the Middle East and North Africa after Saudi Arabia.It has an estimated $1.35 trillion of purchasing-power parity, making it the world’s 18th-largest economy. It has the region’s second-largest population after Egypt, and is the world’s 17th most populous nation, with some 82 million people. Iran’s market appears to be multidimensional, with very profitable energy, consumer, mining and tech sectors. Foreign products — primarily American, followed by European then Asian — are very popular among Iranians. Western firms may jump to invest in Iran because they do not want to fall behind their Asian counterparts. The impetus for European companies may be Europe’s slow economic growth. But due to geopolitics, volatility and the changing dynamics between the US and the region, all these attractions should not delude companies into investing. The first major risk is linked to Washington’s Iran policy. US pressure and sanctions on Tehran will likely continue to escalate, affecting American and non-American companies. The US may re-impose its sanctions bill that targets non-American companies doing business with Iran. If a company does business with both countries, its investments could be in peril. 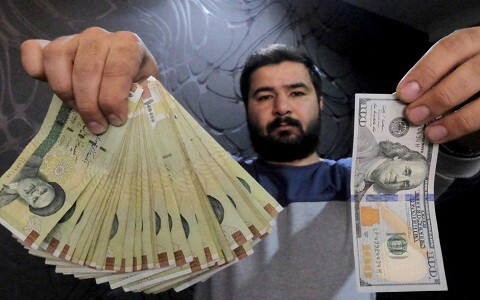 Quitting Iran’s market would not be easy for those with long-term investments. The second danger concerns political stability. Most of the young population are disenchanted with the ruling clerics. This, and increasing regional pressure from a united front of Arab states and the US, do not provide a ripe environment for investors to do business with Iran. The US may re-impose its sanctions bill that targets non-American companies doing business with Iran. If a company does business with both countries, its investments could be in peril. Thirdly, Supreme Leader Ali Khamenei and the Islamic Revolutionary Guard Corps (IRGC), which controls much of Iran’s economy, are tightening their grip on the market. This state-generated economy creates less competition and more bureaucracy. Some foreign industries and companies will find it challenging and not lucrative to do business with Iran, particularly given legal trade frameworks and limited labor laws. The next risk relates to UN Security Council (UNSC) sanctions. If the nuclear deal collapses or it is proved that Tehran is violating it, sanctions may be re-imposed. Finally, some Iranian entities and individuals are still blacklisted, for reasons including violating UNSC resolutions and crimes against humanity. When doing business with Iran, it is difficult to know if these entities and individuals have stakes in those business deals. This can lead to legal issues and impact the credibility of investors and firms. Similarly, countries in the region that are negatively impacted by Tehran’s activities may decide not to deal with those foreign companies. In addition, most profits go to the regime, not the people, so doing business with Iran would empower the regime to further repress the population and advance its regional hegemonic ambitions. Dr. Majid Rafizadeh is a Harvard-educated, Iranian-American political scientist. He is a leading expert on Iran and US foreign policy, a businessman and president of the International American Council.